Not the most popular month to travel to Peru, March is one of the less crowded months so if you do not like the crowds why not consider March for your Peruvian vacation. The weather in Lima and on the coast is still very nice but if you travel inland than you may experience the end of the rainy season so what are the benefits of traveling to Peru in March. March is a good month to travel as all of the Peruvian children have returned to school and there are less tourists than in the high season. Another great reason to travel in March is the lower costs of your services and your hotels. The hotels in Peru are trying to fill rooms so you can get some great discounts on your hotels in all parts of Peru. What are the best things to do in Peru? This is a great question, there are many and varied things to occupy your holiday time. Peru is a country that is located high in the Andes mountain range and is divided into three different zones that all feature their own special attractions that you simply must visit. The first zone that you will enter is the coastal areas; here you will find the capital of Peru, Lima. 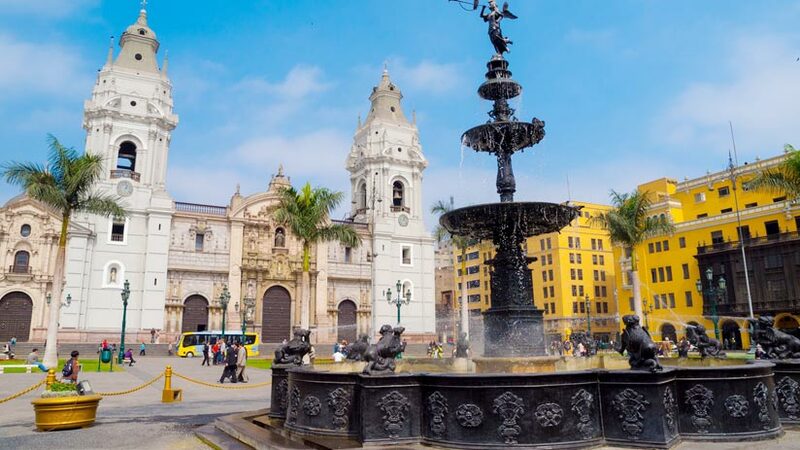 Lima is a cosmopolitan city that is a great mix of old and new. The center of the city is filled with ancient history and colonial architecture. In March, the city still enjoys a warm climate and it is great to be outdoors. The seaside suburbs of Miraflores and Barranco are great places to spend some time. Miraflores has some of the best restaurants in the world and you should try some of the great fusion food. Barranco has some great bars and peñas where you can hear some great Peruvian and International music. Traveling down the coast south of Lima explore the Paracas National Park, where the Ballastes Islands are located. These islands are home to hundreds of species of birds and where you will find a colony of sea lions. Not far from Paracas is the town of Ica, Ica is a wine growing area and you are able to visit the wineries and sample the wine. 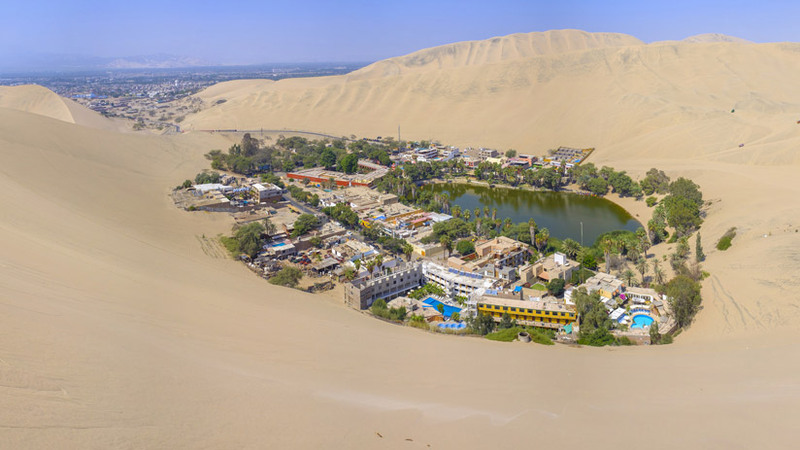 Just outside of Ica is the desert oasis of Huacachina; here you will find dune buggies and sandboarding to pass an exciting action packed day. Travel further south and you will arrive in Nazca, a desert town with some of the best weather in Peru, especially when traveling to Peru in March. Nazca is famous for the famous lines that are etched into the desert floor. To see the lines you will need to take a flight from of the many operators that are in the town. Moving onto the second zone of Peru which is the highlands and the weather in March will be different from on the coast. Being the end of the rainy season March in the highlands is still wet and a bit muddy. The plus side to March in the highlands is there is less people and the Inca sites are less crowded. 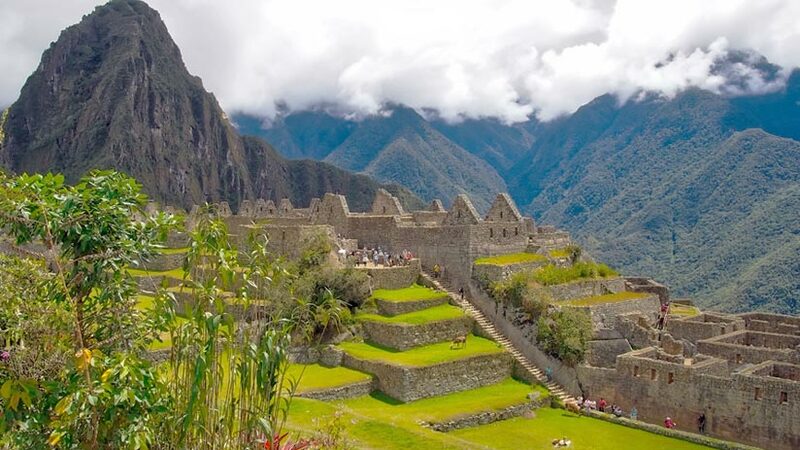 Take a tour to Machu Picchu and you may get wet but you can spend more time at each point of interest. 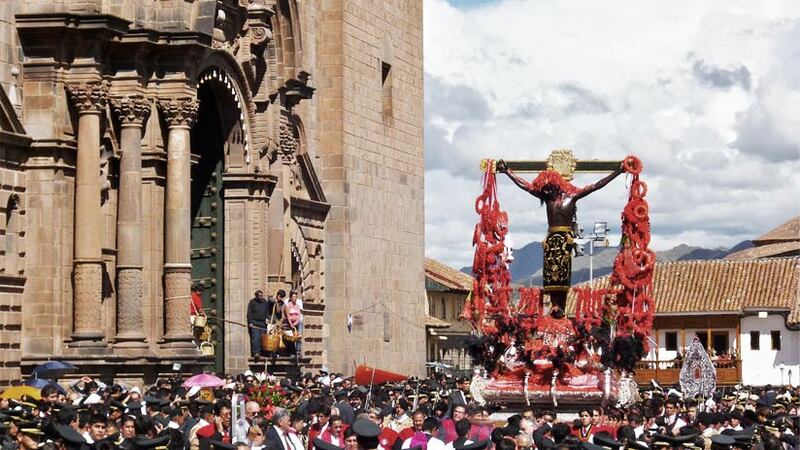 In Cusco, March is a great time to visit, normally Easter is in Peru in March. During this time, the city is full of parades for Easter. The statues of Jesus are removed from the churches and paraded around the streets. This is a beautiful time in Cusco so if you are able to plan a visit to Cusco at Easter or Semana Santa in Spanish. Further south of Cusco and Machu Picchu is the lakeside town of Puno, here you will find the magical Lake Titicaca. 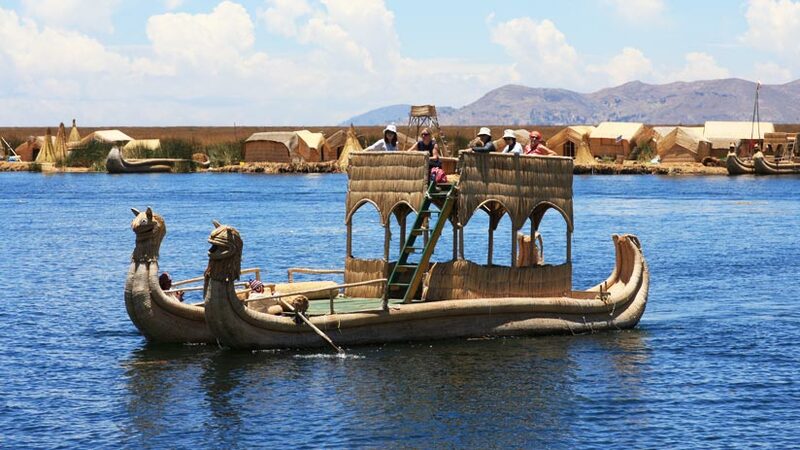 No tour to Peru is complete without a trip to Lake Titicaca and the floating Uros Isands. Take a day tour out to the islands and experience one of the most unusual places on the planet. The third zone that should be visited in Peru is the jungle. Peru has two different jungle destinations that should be considered on your Peru travel guide. The first is Puerto Maldonado where there are many jungle lodges for you to spend some time. March is the finish of the rainy season in the Amazon, the jungle is fresh, and the temperatures are cooler than the hotter dry months. The second destination that should be considered is in the northern Peruvian Amazon and the Iquitos part of the Amazon. Iquitos has several jungle lodges but is more famous for the Amazon cruises that leave from the town. 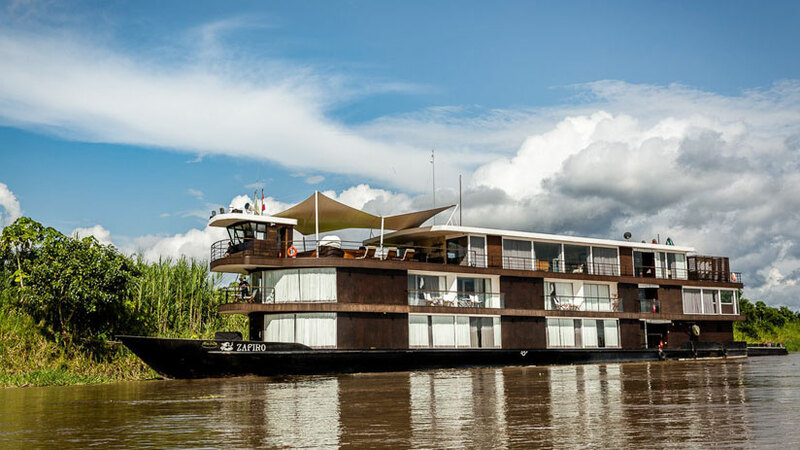 Travel down the river on one of the five star ships that offer all the luxury inclusions that you could imagine. 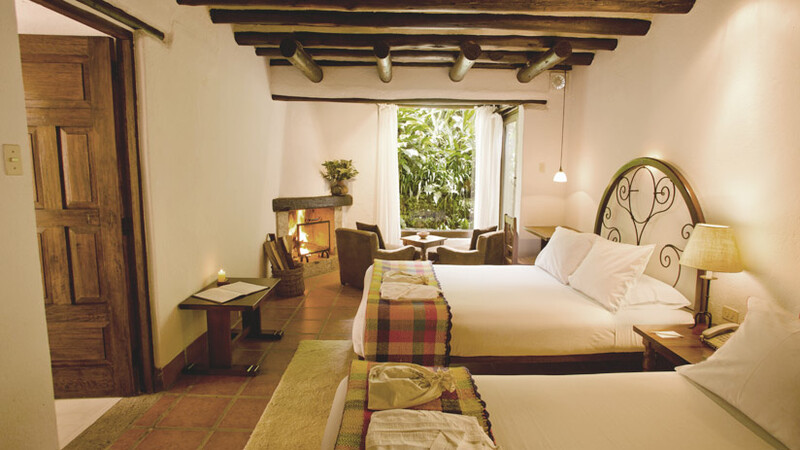 The Peruvian Amazon is for the nature lovers and luxury traveler alike. Peru cost of travel. The cost of any tour you do anywhere in the world is important. 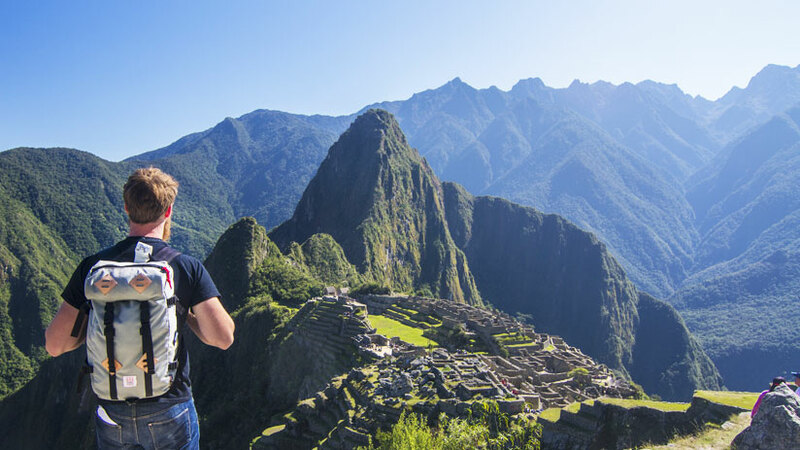 Peru and South America are still affordable travel destinations. Your travel dollar will stretch further than a vacation to Europe or North America. Know the Top 10 places to visit in Peru. Consider a vacation to Peru, do your research on what you want to see and travel to Peru in March a great month for your vacation. Peru Activities, Peru Travel Tips, Peruvian Festivals amazon, culture, family vacations. permalink.